Good cheap fast service: is there such a thing? Fast cheap service wouldn’t be good. 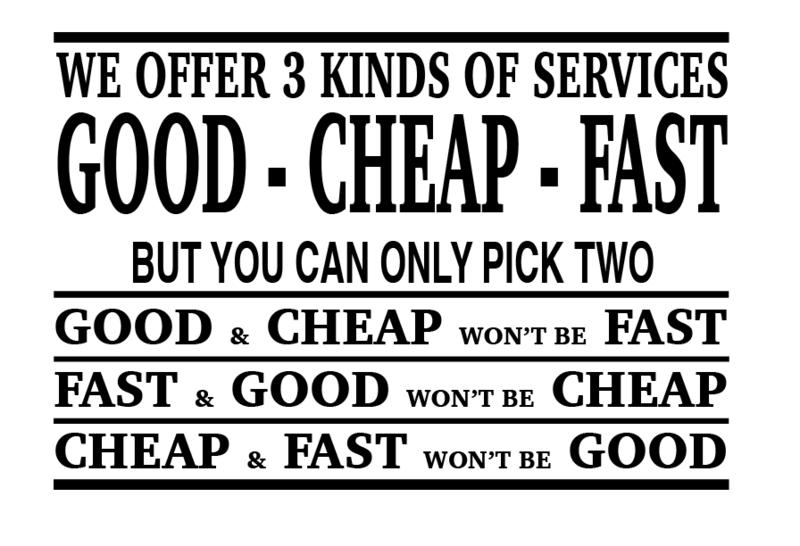 I thought of this sign when I considered three recent decisions where the service wasn’t fast. The first involved the estate of Evelyn Dempsey, who died in England in 1982. Evelyn Dempsey was intestate in relation to one half of the residue of her estate. Distribution of the moveable property in that estate depended on her domicile at her death. If she was domiciled in Queensland at death the potential beneficiaries were cousins. If she was domiciled in NSW the intestate estate was paid to the Crown as bona vacantia. If she was domiciled in the UK the position was not clear, even after 34 years. The court found that Dempsey wasn’t domiciled in the UK. However, it required the executor, Perpetual Trustee Company Ltd, to make further enquiries to enable the court to decide domicile between NSW and Queensland. So it is 34 years and counting. Beverley Hancock’s estate had a different type of delay. Beverley died on 23 June 2006. She left the whole of her estate to her husband, Bill Hancock. On 11 September 2013, which was nearly six years longer than was then allowed, her daughter of an earlier relationship, Donna-Lee, made an application for a family provision order out of her mother’s notional estate. Her procrastination was unrewarded – she lost the application and was ordered to pay costs. But the circumstances resemble a Shakespearean plot. With brevity which does not do justice to the full story: after her mother’s death, Bill relied on Donna-Lee for assistance and favoured her with gifts and loans. This ended when a girl friend of Donna-Lee, Rebecca, who Donna-Lee introduced to Bill and championed to him as an employee, married Bill! It was only after that, when Donna-Lee was no longer needed to assist Bill and did not receive his favours, that she brought the application against her mother’s estate. I’ve no idea if there was cheap service provided by the executor and administrator in the first two decisions. I doubt that it was totally good. But I’m certain it wasn’t fast. 800 years of Magna Carta. Big Deal! What’s its relevance for succession lawyers? A STEP IN THE EMANCIPATION OF WOMEN The Extent of a Solicitors Duty with a Clients Estate Planning Badenach v Calvert: Explaining the scope of a solicitor’s duty to an intended beneficiary in a will Court delays. Isn’t it time to join up the dots?